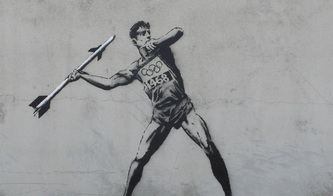 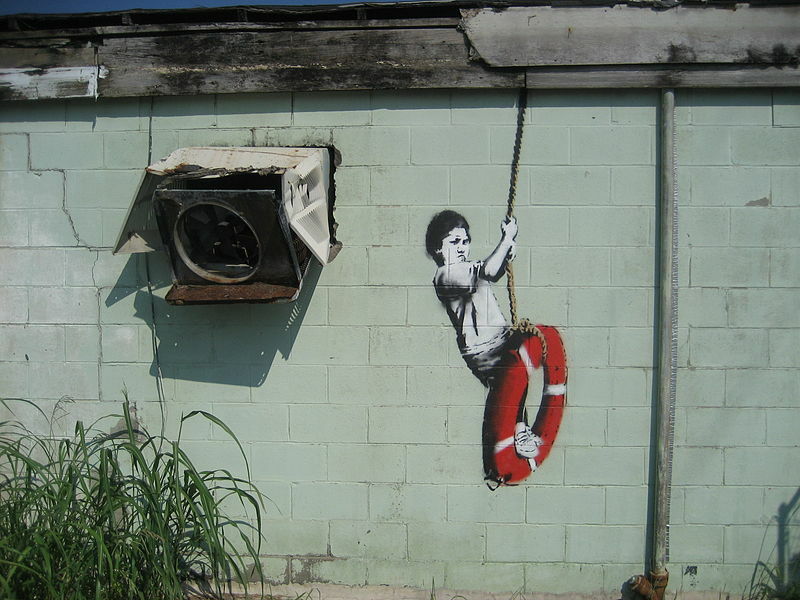 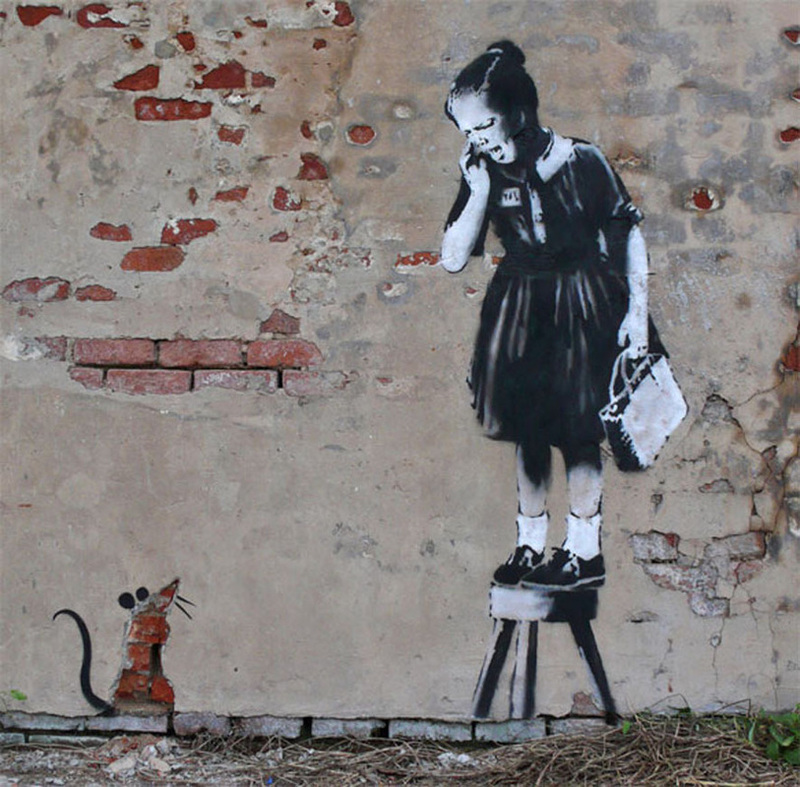 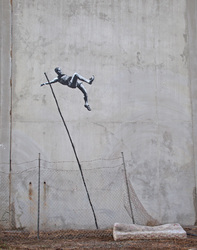 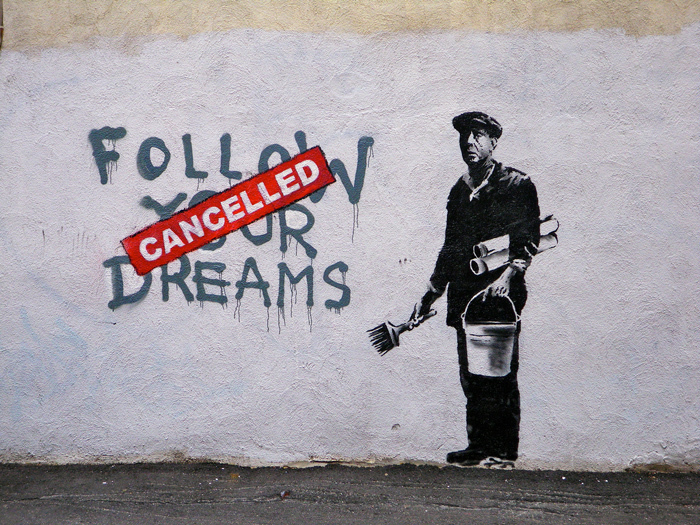 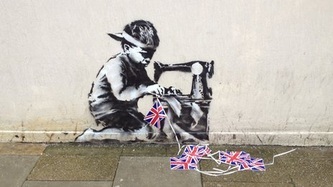 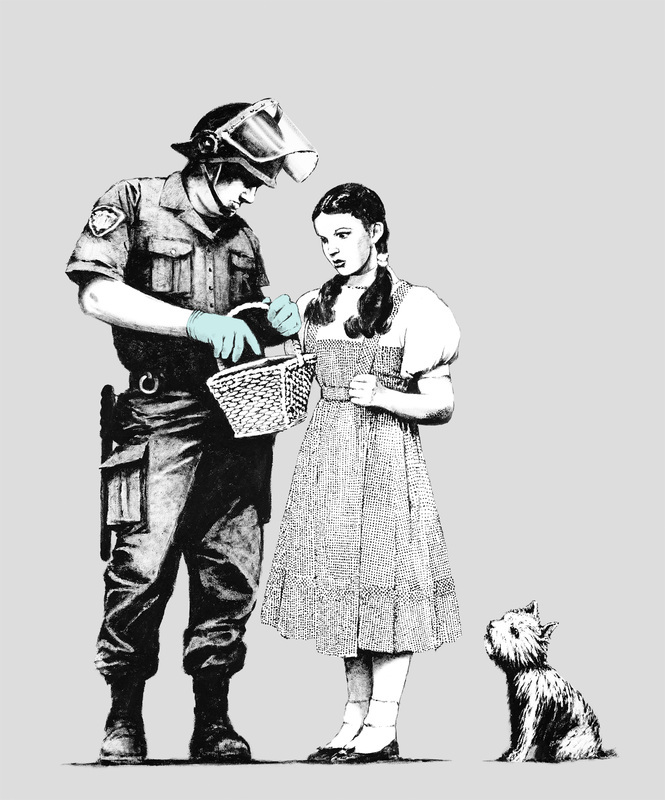 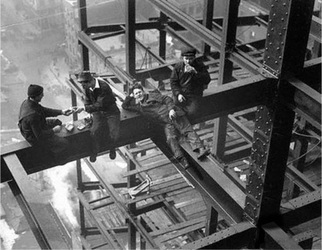 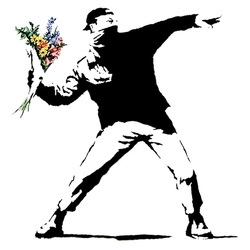 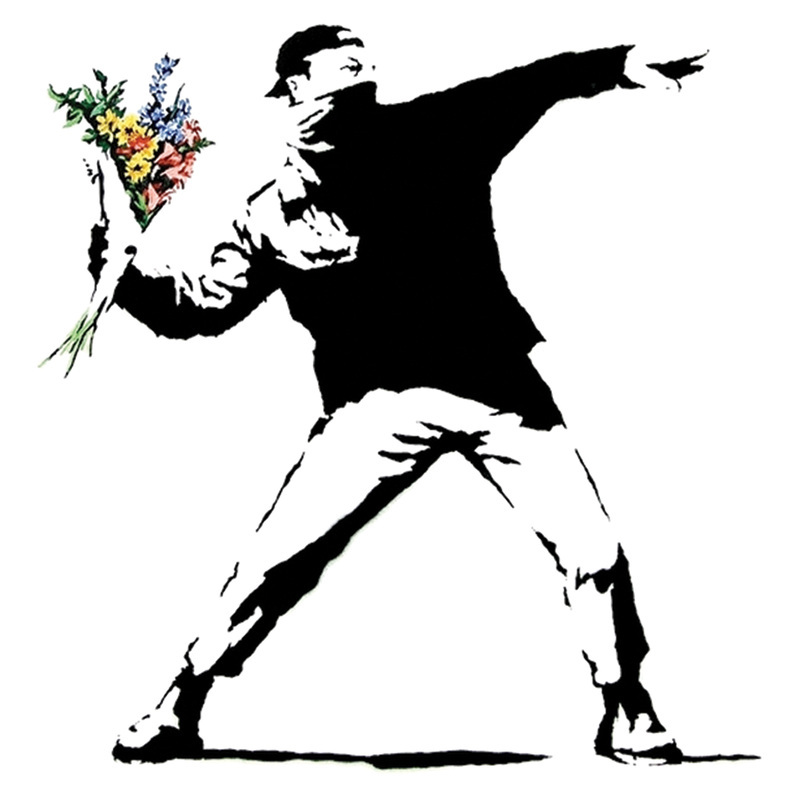 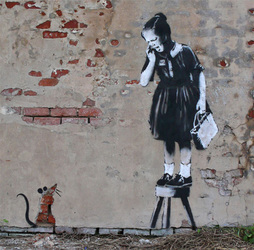 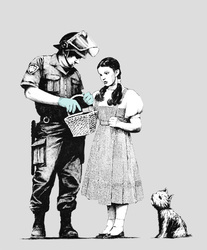 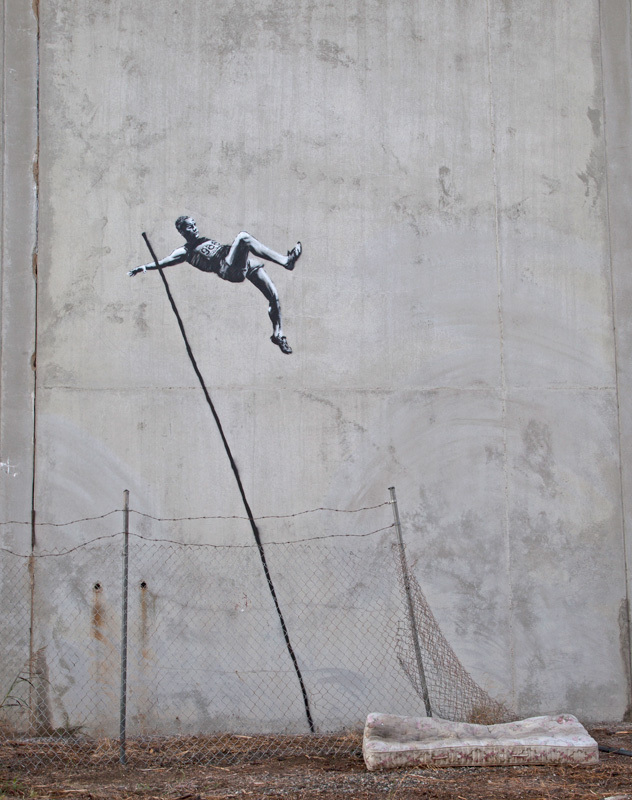 Banksy is a pseudonymous England-based graffiti artist, political activist, film director, and painter. 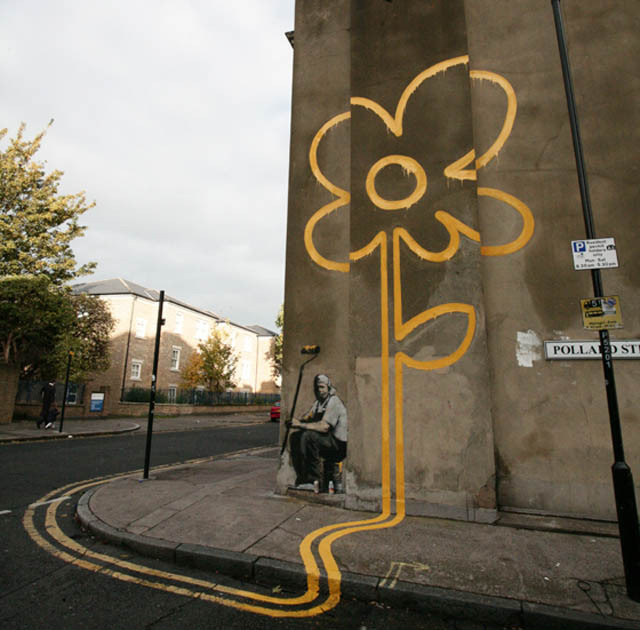 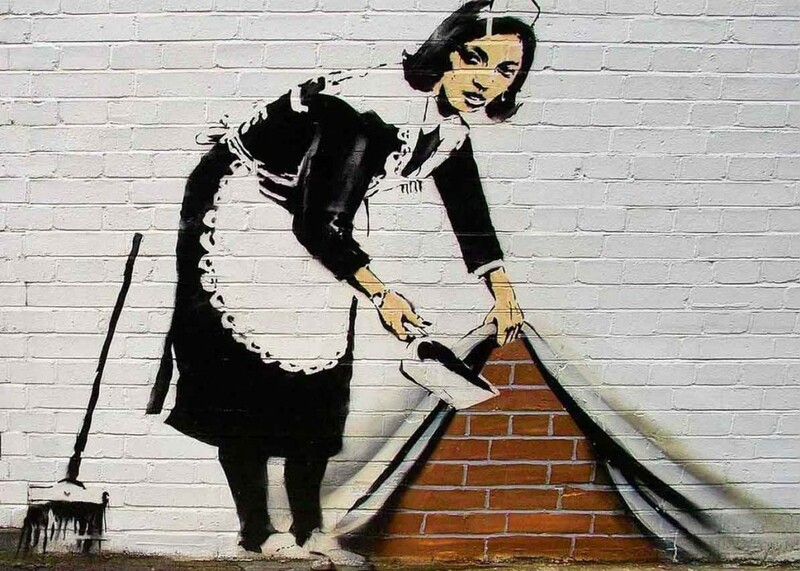 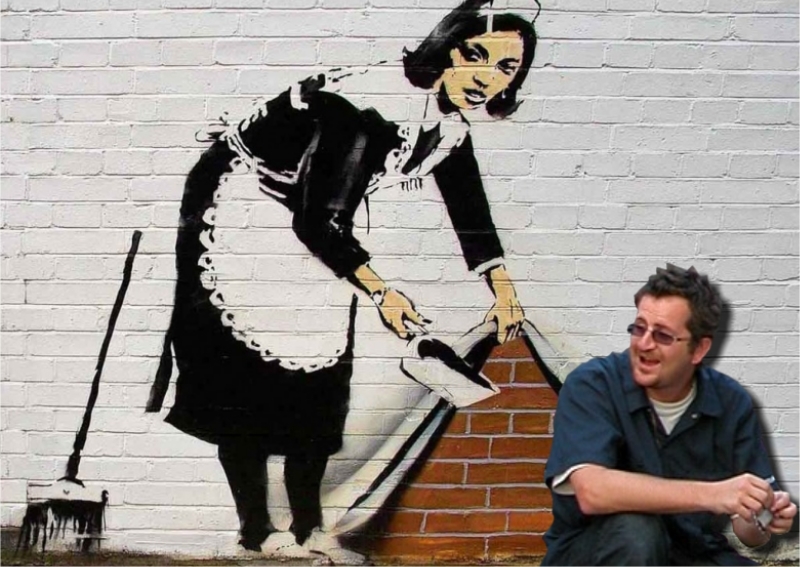 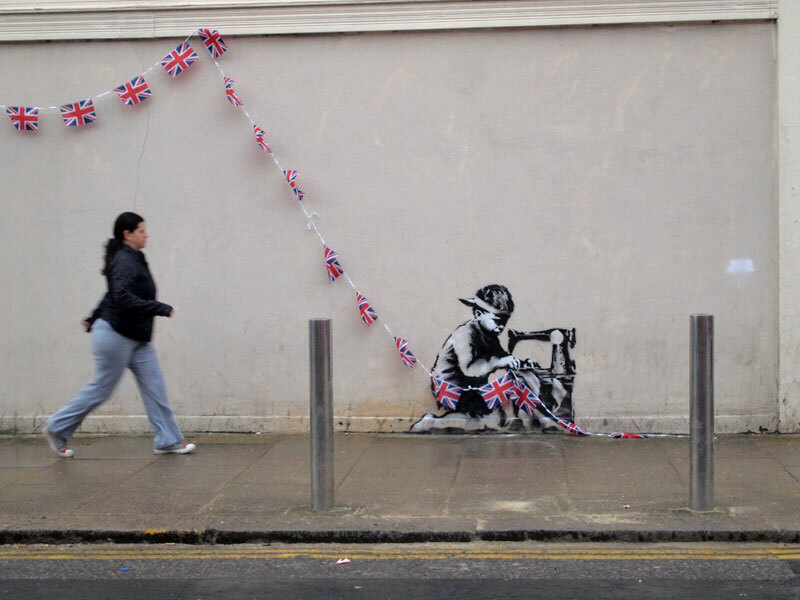 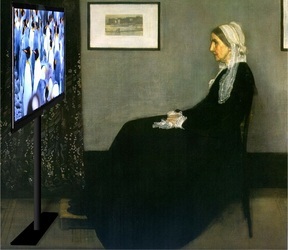 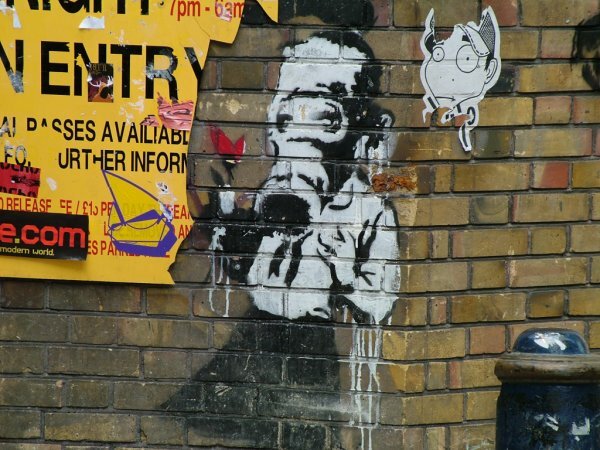 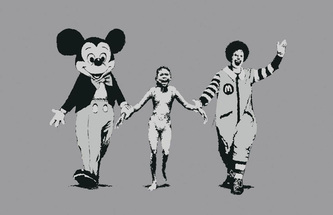 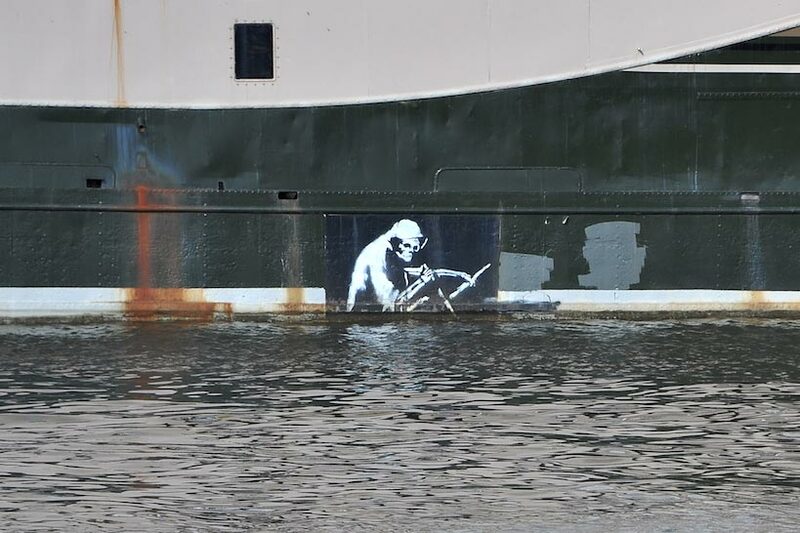 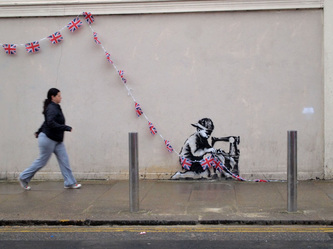 If you have ever wondered 'what does Banksy look like?' 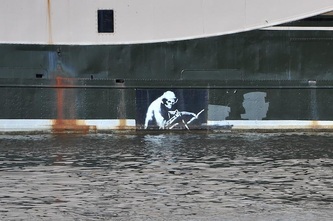 the picture above is one of the only sightings of him caught on film. His satirical street art and subversive epigrams combine dark humour with graffiti done in a distinctive stencilling technique. 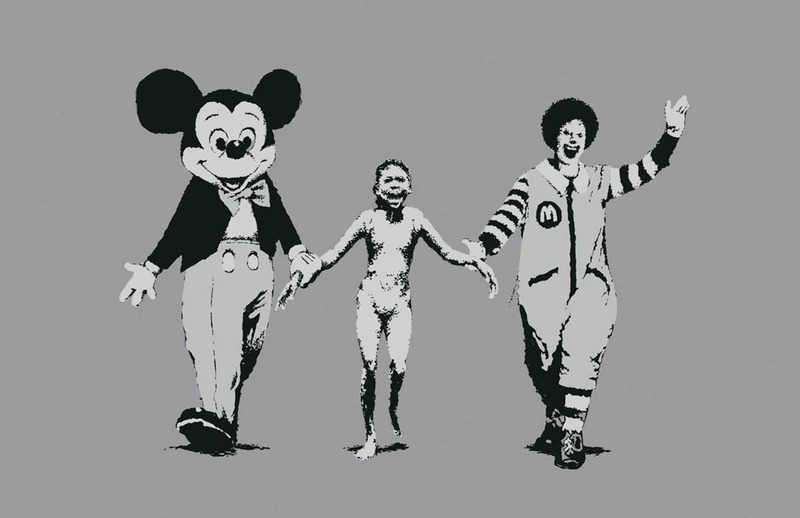 Such artistic works of political and social commentary have been featured on streets, walls, and bridges of cities throughout the world. 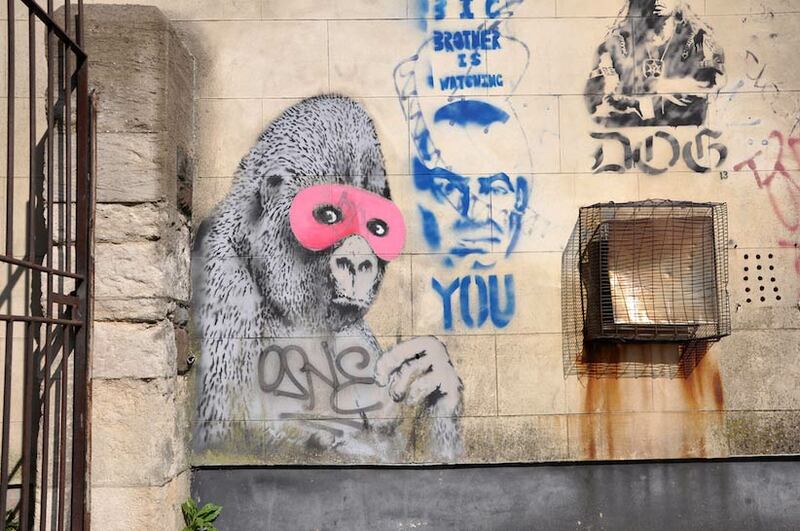 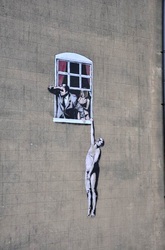 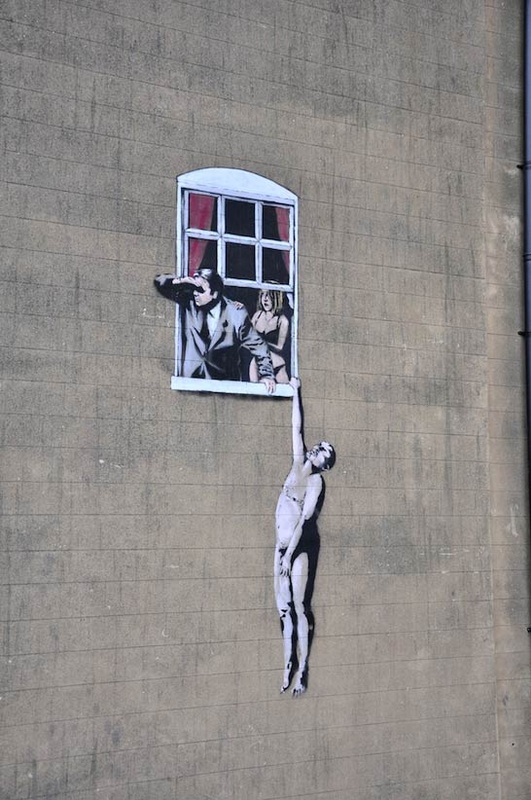 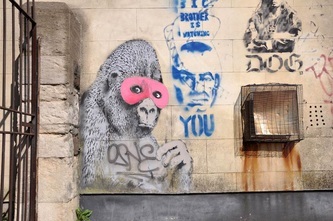 Banksy's work was made up of the Bristol underground scene which involved collaborations between artists and musicians. 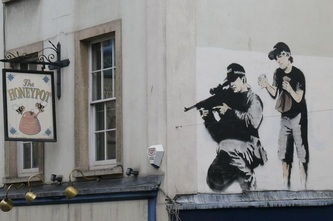 According to author and graphic designer Tristan Manco and the book Home Sweet Home, Banksy "was born in 1974 and raised in Bristol, England. 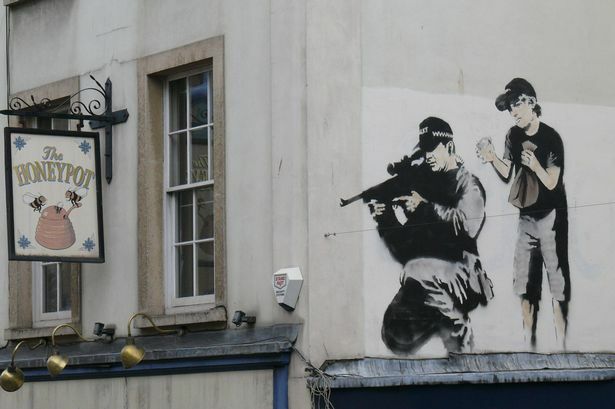 The son of a photocopier technician, he trained as a butcher but became involved in graffiti during the great Bristol aerosol boom of the late 1980s." 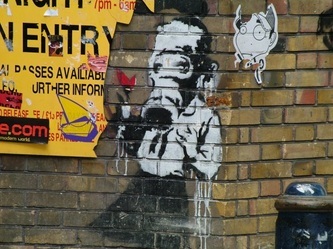 Observers have noted that his style is similar to Blek le Rat who began to work with stencils in 1981 in Paris and Jef Aerosol who sprayed his first street stencil in 1982 in Tours (France), and members of the anarcho-punk band Crass, which maintained a graffiti stencil campaign on the London Tube System in the late 1970s and early 1980s. 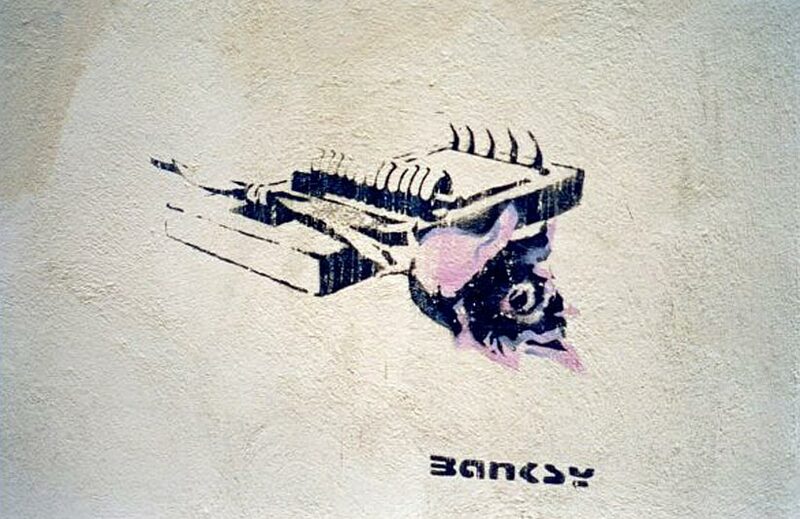 However Banksy claims that he based his work on that of 3D from Massive Attack, stating, "No, I copied 3D from Massive Attack. 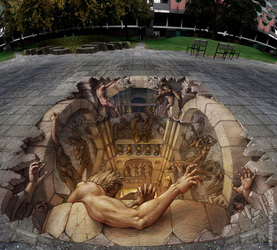 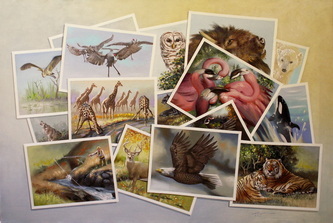 He can actually draw."